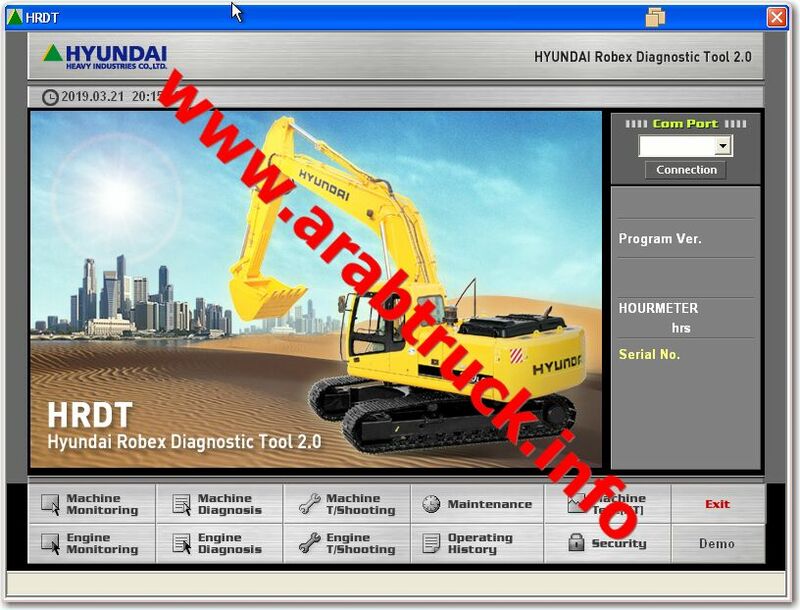 Hyundai Robex Diagnostic Tool (HRDT) dealer diagnostic interface for Hyundai Construction Equipment. 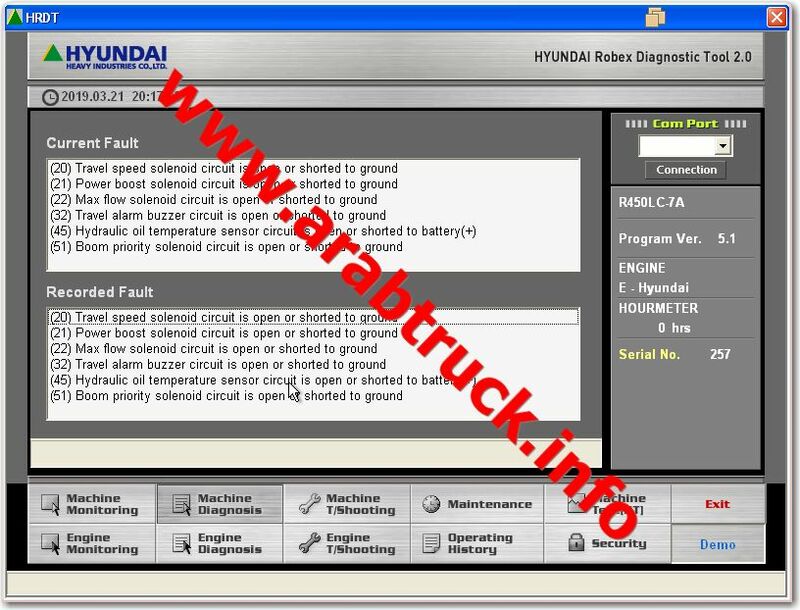 Hyundai Robex Diagnostic Tool (HRDT) is a Self-Diagnosis program, allowing plug&play machine monitoring. The software pack reads all error codes and records engine brake down logs, maintenance logs and operation logs. This program communicates with the main controller (MCU) of the excavator and allows the user to check various settings like driving mode, fuel efficiency and coolant temperature. It also provides inspection procedures for the engine and electronic parts. Also, a more efficient management of the excavator is possible since it automatically informs the user of replacement cycles of various oils and filters as well as showing operation data such as engine speed, in real time. This program can be used on all -7 excavators above 8 tons. The ease-of-use of the program allows every operator to diagnose his Hyundai excavator on the spot. 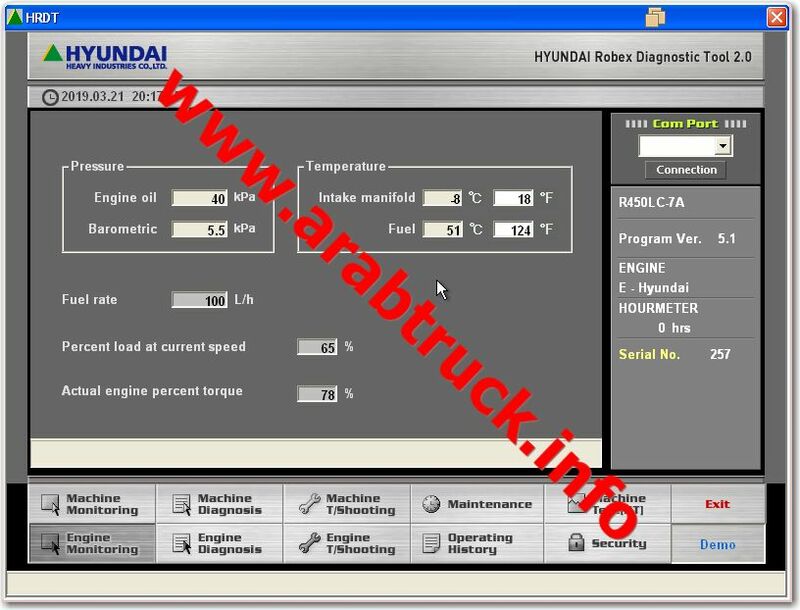 You can buy product “Hyundai Robex Diagnostic Tool (HRDT)” here on AUTODOCS After you receive the catalog we will provide the after-sale customer support, we will send you instructions needed to install the catalog, we guarantee that you will have the full functional product The catalog “Hyundai Robex Diagnostic Tool (HRDT)” is the dealer software , contains all needed detailed infomation , which depends on type of the catalog (spare parts catalog, repair service manuals / bulletins, workshop or shop manuals, body repair manuals, wiring / electrical diagrams, hydraulic lines, customer or operation manuals, diagnostic program, technical information and other documents) The software “Hyundai Robex Diagnostic Tool (HRDT)” is in stock and you can purchase it now.